Hi everyone! 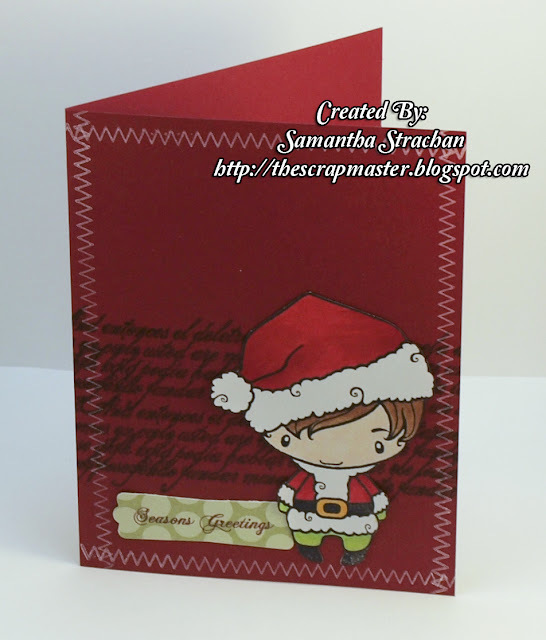 Samantha here with another Christmas project for you! This card features an image from The Greeting Farm Christmas Sweeties stamp set. Isn't that little man so cute!? YG23, YG06, R27, R29, E00. E33. E35. and E37.